Are you interested in learning who is the best Diablo 3 class? Is it the magic wielding Wizard? The mysterious Witch Doctor? Or is it the brutal Barbarian? Learn more about the individual Diablo 3 classes and vote for who you think the best Diablo 3 class is. 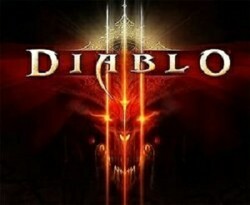 Blizzard has announced on numerous occasions that they will not be heavily focused on balancing Diablo 3. As such certain Diablo 3 classes will have the edge in PvE or PvP gameplay. But which Diablo 3 class is the best? The Demon Hunter is a rogue like class who relies on ranged weaponry to deal with the forces of evil. A Demon Hunter is a soul with no allegiance who has lost their life to the hell spawn and hunts them relentlessly. They are capable of using cloaks to hide in the shadows and can also equip hand crossbows and quivers. The Demon Hunter is the only class to use a double resource system. She uses the resource of Hatred for her offensive skills while the power of Discipline is for her defensive abilities. Demon Hunters are masters of ranged weaponry and also employ traps to slow down and weaken demons that they cross paths with. Demon Hunters can also draw on their knowledge of battle tactics and shadow magic when the situation is dire. Do you think the Demon Hunter is the best Diablo 3 class? The Barbarian is the only returning class from Diablo 2. Barbarians rely on their brute force and strength to win their battles. They are capable of dual wielding massive weapons that other classes can barely lift with two hands, Barbarians are also capable of equipping mighty weapons and belts that are restricted to other classes. Barbarians use the Fury resource system which generates as they deal damage with their Fury generating skills or when they take damage, their battle fury is the source of their power. Barbarians are masters of melee combat and capable of dealing massive brutal attacks to their enemies while also performing shouts to buff themselves as they absorb massive enemy blows. Do you think the Barbarian is the best Diablo 3 class? The monks are sacred warriors who train for years in solitude to refine their skills. Monks use melee orientated combat to dispose and purify their foes. They can call on the power of Spirit Stones, fist weapons and Diabos. Monks draw their power from within themselves, this energy is know as Spirit. Spirit replenishes slowly and is generated by using skills and finishing combo attacks. Monks have naturally high speed and mobility allowing them to avoid damage rather than absorbing it like the Barbarian. They rely on combining their attacks together to crete power and devastating combos. Monks can also chant Mantras to increase their own stats and their parties. Do you think the Monk is the best Diablo 3 class? Witch Doctors are spiritual warriors from the Umbaru tribe. They have many similarities to the Necromancer in Diablo 2 and are capable of summoning minions, performing many curses while also using various elements to destroy their enemies. They are capable of using Ceremonial Knives, Mojos and Voodoo Masks. Witch Doctor's rely on the mana resource to cast their various spells. This resource is very vast allowing Witch Doctor's to constantly conjure spells and minions. However, it is slow regenerating so casting massive amounts of spells at once can quickly leave the Witch Doctor vulnerable. Witch Doctors are masters of destruction magic and controlling pets to do their bidding. They are powerful allies who can control the battlefield with their various curses and hexes in their arsenal. Do you think the Witch Doctor is the best Diablo 3 class? Wizards are powerful magic users who are renegades of the magic community, choosing to sacrifice their mind and body to the powers of Arcane, a dangerous path not used by other magic users. They are capable of manipulating the world around them in various ways, including the power to teleport, control time and freeze enemies. Wizards use Orbs, Wands and Wizard Hats to increase their power. The resource of the Wizard is Arcane Power which is a fast regenerating resource that the Wizard can call upon as required. Because of its fast regenerating nature the Wizard can use simple spells without end but must be careful to not use excessive amounts at once. Wizards are masters of the elements and use defensive spells to increase their durability in battle. Wizards favour area of effect attacks making them a powerful PvE class. Do you think the Wizard is the best Diablo 3 class? 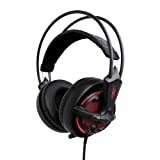 Which Diablo 3 Class Is The Best?